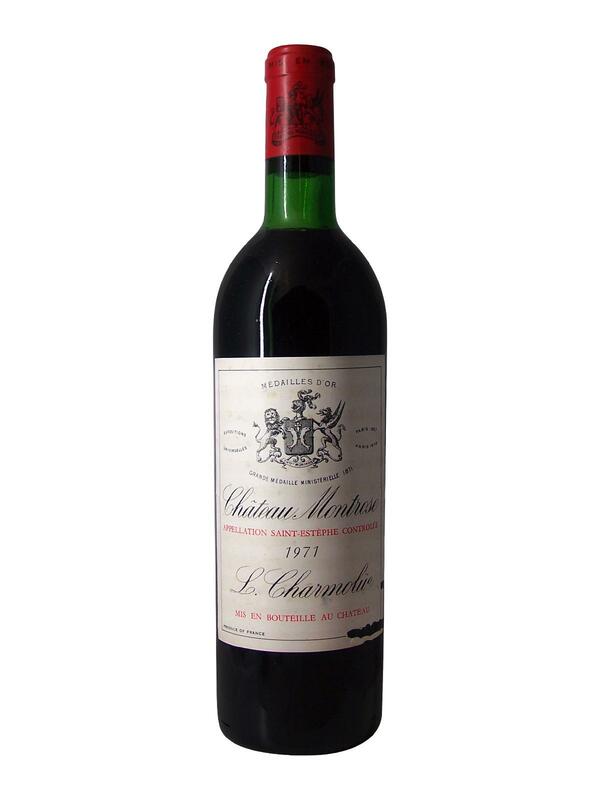 Second Cru Classé of the Saint Estèphe appellation, Chateau Montrose 1971 is a wine composed of a blend of Cabernet Franc and Sauvignon, completed by Petit Verdot. This 1971 vintage is adorned with a beautiful ruby robe surrounded by 2mm of rust-coloured edge. On the nose, Montrose 1971 exudes a charming bouquet of black fruits, blackcurrants, redcurrants, dried herbs, smoke and a hint of spices. On the palate, Montrose 1971 is less fleshy than at its beginnings, the tannins have melted down in part, highlighting abundant black fruits with a touch of salty licorice on the finish. Château Montrose 1971 is a very elegant Saint Estèphe, ready for tasting.